2). 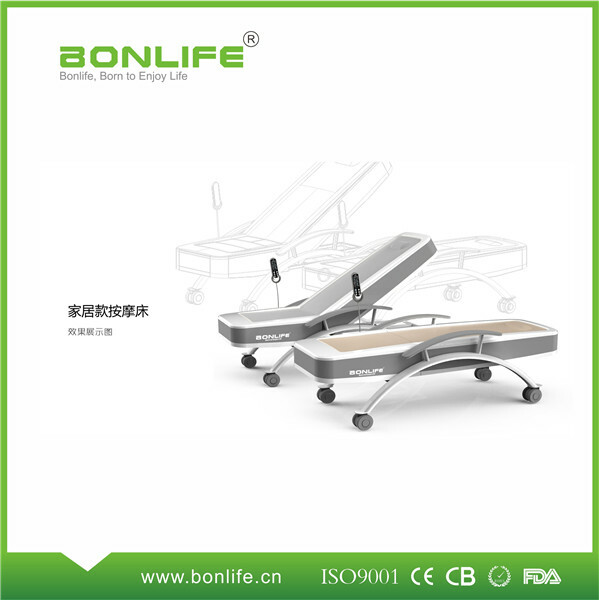 Designed with four wheels, convenient to be moved: the wheels also can be fixed by a switch to keep the beds stable. 3). 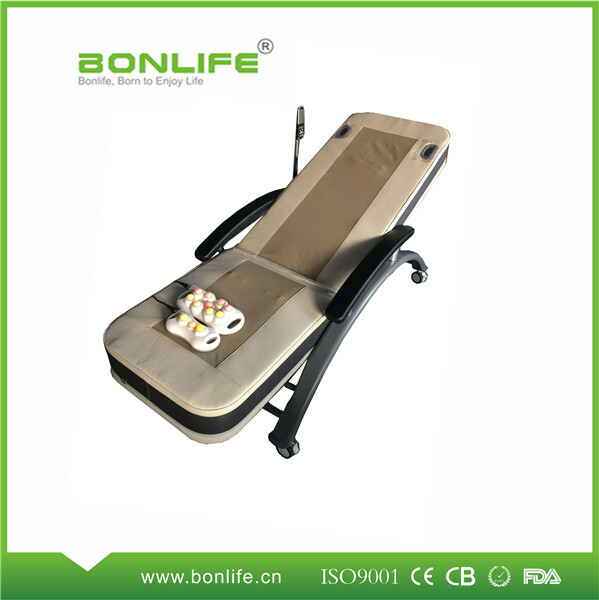 4 thermal jade rollers on the back and leg parts, carbon fiber heating FIR therapy on leg part: It adopts aluminium foil to heat the leg part,more safety; and the jade rollers and carbon fiber can radiate Far Infrared Rays, which is good for body health. 4). Stereo music enjoyment,has an SD card slot: Sound Therapy, with MP3 U disk and stereo sounds-box, provice you high quality music enjoyment and relax your mind and whole body. 6). 6 automatic massage modes, 2 manual modes. 7). Automatic self-test and intelligent spine scanning: The massage bed senses your spine`s length and curve to provide a massage tailored just for you. 8). 9balls+3balls hand-held thermal projector: hand-held thermal projector is suitable for any part of body according to your demand,and it adopts silica gel as the material of bulb, to keep longer service life. Looking for ideal Hot Stone Heating Thermal Therapy Massage Table Manufacturer & supplier ? We have a wide selection at great prices to help you get creative. 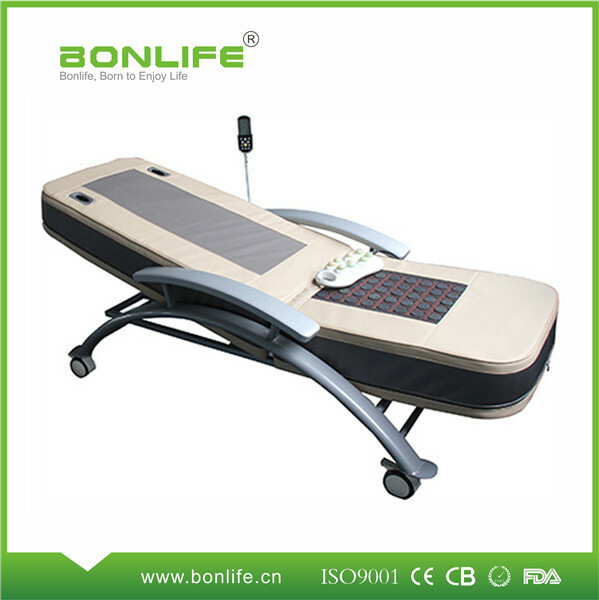 All the Jade Heating Thermal Therapy Massage Table are quality guaranteed. 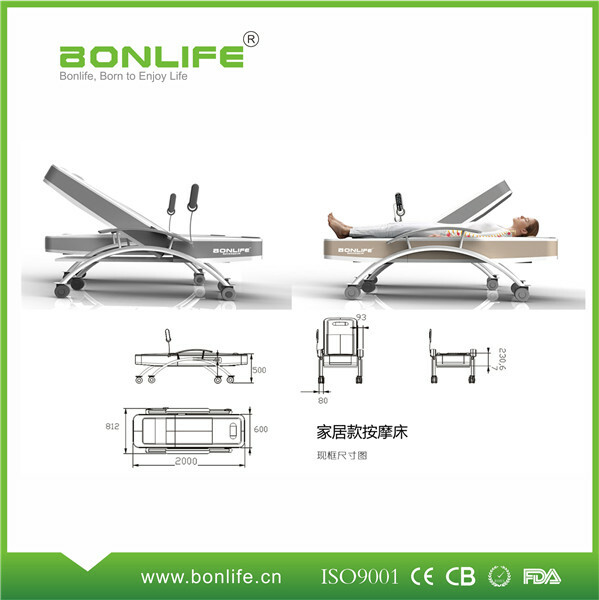 We are China Origin Factory of Jade Thermal Therapy Massage Table. If you have any question, please feel free to contact us.